It was inevitable that Ethan Bear would be dressing to play with the Edmonton Oilers sooner than expected. The Oilers 2015 draft pick played with the Western Hockey League’s (WHL), 2017 champion Seattle Thunderbirds where he earned the honor of being named the WHL 2017 top defensive player. The WHL is the highest level of junior hockey in Canada. The league has 22 teams spanning Western Canada and the Northwest U.S. 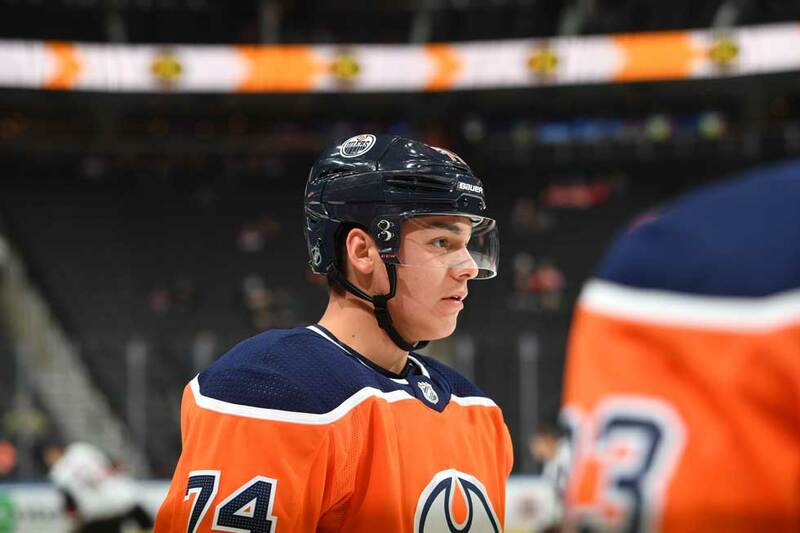 Drafted in the fifth round and 124th overall, the 20-year-old, 5’11” 209-pound, rookie defenceman from the Ochapowace First Nation played his first National Hockey League game as an Edmonton Oiler on March 1st. Though the contest ended in a 4-2 loss against the Nashville Predators, Bear said suiting up as a NHL player was a dream come true. “I love the game. It’s pretty amazing and the intensity, speed and playing with Edmonton, things could not be better,” said Bear. 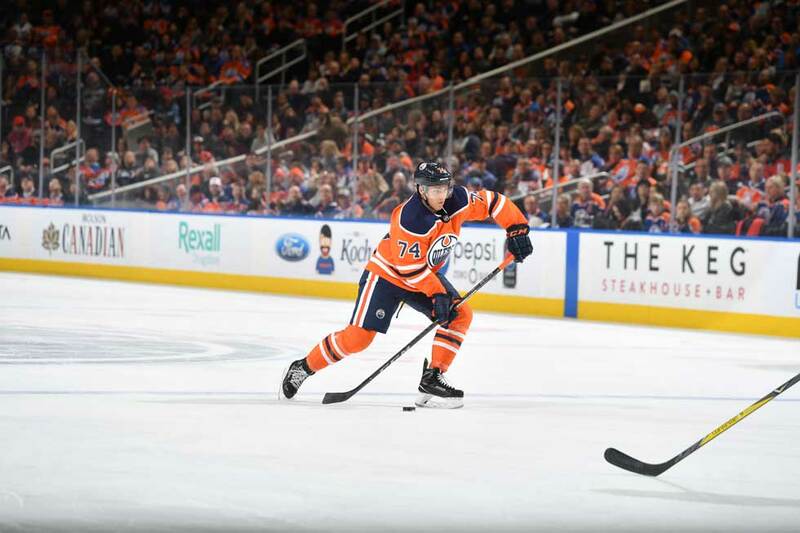 The Edmonton Oilers recalled Bear from the American Hockey League (AHL), where he was playing in Southern California for Bakersfield Condors where he had 16 points (6G, 10A) and 12 penalty minutes in 34 games. The AHL is the NHL’s primary developmental league. Bear played for Canada’s National Under-18 program twice, winning gold at the 2014 Hlinka Memorial and a bronze medal at the 2015 World U18 Men’s Hockey Championship in Switzerland. Growing up, Bear never had a favourite team, but his favourite players were Jordin Tootoo, and Shane Webber. “I never really had a favourite team, I just really followed hockey a lot, and played and loved the game, but I always rooted for the Canadian NHL teams, and Team Canada,” said Bear. Bear faced the same challenges as all players who came before him when he began playing in the juniors. Among the greatest were being away from home at a young age and making the right choices. “Making those sacrifices and learning to take care of your body, and learning to be a pro before you’re a pro,” Bear added to the list of challenges. Bear said noticing other native players in the junior ranks was nice to see knowing Aboriginal players were a good thing for native people and their communities. Family support is something Bear does not take for granted and knows it will be important through what he hopes will be a long NHL career. In his first game as an Oiler, dozens of family, friends and supporters made the nine hour trip from his Saskatchewan home community and the Ochapowace First Nation. Bear said giving back is something he strongly believes in. Each summer he runs a hockey camp back in his community – a camp for everyone. Through eight games, Bear has two assists and has been near the 20-minute mark in three of his last four contests. In his last few games he’s been paired with defenseman Oscar Klefbom, a partnership Bear feels is working well. Perhaps the first aspect of Bear’s game to rise to this level of professional play has been his passing, which is something Head Coach Todd McLellan has spoken about. His teammates are also starting to realize there’s some potential with the 20-year-old. Bear is a right-shot, offensively inclined defenceman, which is something the Oilers would like to add to their special teams arsenal. Following practice before the team hit the road for Cowtown (Calgary), a local Edmonton reporter asked Bear about his participating in Battle of Alberta against the Calgary Flames for the first time. A big smile came across his face and Bear showed excitement over his upcoming, first-ever experience. Growing up in Ochapowace, Saskatchewan Bear watched plenty of Battle of Alberta games and has a built-in understanding of what it means when orange and blue clashes with red and yellow. Edmonton head coach Todd McLellan said Bear is very optimistic about getting to play in Battle of Alberta after only a few games in the league.